The issue of Australia's burden of skin cancer was highlighted in Federal Parliament in February by debate from a number of MPs from both sides of politics, following a motion raising awareness of skin cancer - as Australia has the highest incidence in the world, with skin cancers accounting for around 80 per cent of all newly diagnosed cancers in Australia. The motion was put forward by Liberal MP Bruce Billson, who called for policies that focus on early detection to significantly reduce the number of Australian lives lost to skin cancer every year. He said more than a million general practice consultations are directly related to skin cancer management. 'We do have an opportunity to cease being the skin cancer capital of the world," said Mr Billson. 'Early detection and treatment will save lives. It will also reduce the rapidly increasing cost of the management of the condition and its burden on Australia's health budget and on the many families left to contend with this cancer. With the development of skin awareness and the conducting of regular skin checks comes the opportunity to achieve an early diagnosis." Mr Billson acknowledged the work of anti-cancer community organisations, the medical profession and the pharmaceutical industry in increasing awareness of skin cancer and risk prevention strategies, promoting the importance of regular skin checks and enabling affordable access to skin checks and early stage treatments. 'I encourage all Australians to get behind the Know Your Own Skin campaign which has been developed by leading experts to encourage people to check their own skin, the body's biggest organ, at the start of each season for sun damage and ask their local GPs for a skin check during their next visit. Further information can be found at www.knowyourownskin.com," he said. Labor MP Alan Griffin said 'Fighting cancer through prevention, early detection and evidence based treatment and care remain key government priorities." He went on to say," The motion also notes the importance of training for general practitioners to ensure that family doctors are able to recognise, diagnose and treat the various forms of precursors or early stages of skin cancer." Associate Professor Stephen Shumack, Consultant Dermatologist at Royal North Shore Hospital, Sydney welcomed the initiative by the MPs to bring the issue to the Parliament, saying: 'It is important to have the condition of skin cancer elevated nationally. All Australians are at risk of developing sun damage related skin conditions, due to our past sunbathing habits and the inevitable exposure we all get to the sun's UV rays." Mr Billson referred in Parliament to research published in November 2012 in the Medical Journal of Australia (MJA) that the yearly cost of treating Australia's most prevalent cancer will increase to more than $700 million annually within three years. In the MJA paper, Medicare data for non-melanoma skin cancer between 1997 and 2012, including basal and squamous cell carcinomas, were examined. The total number of treatments increased by more than 410,000 in 1997 to almost 768,000 in the year 2010, and it was estimated that the number of cases would increase to 939,000 by 2015. It was also supported by Labor MP and Chair the House of Representatives Standing Committee on Health and Ageing Steve Georganas who stated: 'Where we cannot prevent skin cancer, we must support policies that enable early detection to reduce the number of Australian lives that are needlessly lost to skin cancer every single year, because over 95% of skin cancers can be successfully treated, if found early." Question: Why do you think Australia's skin cancer rate is so high (Australia has the highest incidence in the world, with skin cancers accounting for around 80 per cent of all newly diagnosed cancers in Australia)? Associate Professor Stephen Shumack: Australia is the skin cancer capital of the world and that is because we have a European population that lives in a country with high levels of solar radiation/sun radiation and we enjoy a natural lifestyle. We have terrible skin, skin that is real built for high latitudes and we live in a sunny environment and we like working and playing outdoors which is why we are the skin cancer capital of the world. Question: What are you hoping to do by alerting the Federal Parliament about the burden of skin cancer in Australia? Associate Professor Stephen Shumack: It has come to the attention of the Federal Parliament that Australia is the skin cancer capital of the world and skin cancer is an extremely expensive skin condition to treat. Projection suggests that by 2015 there will be close to one million cases of non-melanoma skin cancer treated in Australia, every year. Because of the unbelievably high numbers and given the white skin in a southern climate it is also the most extensive and expensive cancer to treat which is because the numbers have a big impact on the health budget. Question: How are you hoping to reduce our skin cancer rate? 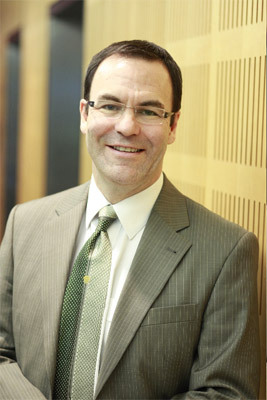 Associate Professor Stephen Shumack: We are hoping to build up awareness of skin cancers and the precursors. Over a period of 20 or 30 years the Slip, Slop, Slap message has been out there so parents are very careful with their children and teenager's sun exposure. We all try to avoid the sun, wear hats and use sunscreen which has been going on for the last 30 years but what's happened is there is a group of people now over the age of 40 who didn't have those public education campaigns when they were kids and teenagers and they spent a lot of time in the sun without protection (sunscreen, hats, rash-vests). As a result 20 to 40 years later the damage on the skin begins such as irregular colouring, pigmented marks and sunspots which are precursors of skin cancers. If people are more aware of these things they will seek medical care and these can be diagnosed and treated early because of this if any skin cancers develop they'll be treated much earlier which requires less surgery and means less scaring and a cheaper surgery. This is an awareness campaign for people over the age of 40 because these people are unfortunately likely to reap the disabilities associated with the childhood and teenage years sun exposure. Question: We hear mixed advice including that we shouldn't leave the house without sun protection however other times we're told we need sun exposure for Vitamin D, how can we protect our skin without becoming Vitamin D deficient? Associate Professor Stephen Shumack: During the summer months most people are out and usually get a significant amount of sun exposure which is enough to keep their vitamin D levels up. In winter vitamin D levels will drop but it is very easy to keep your vitamin D levels up by taking a pill, which is exactly the same as the naturally produced vitamin D. If you're in the group of people that may be vitamin D deficient or have lower vitamin D levels this can be rectified by taking a pill, it's much better doing that than going out in the sun. If you've had sun spots, skin cancer or if you're from a family who've had skin cancers then you should be getting your vitamin D, if you're deficient, from a pill. If you're a little bit darker and have an olive complexion you're less likely to develop skin cancers so those people can get a little bit of sun, on a regular basis, which is a few minutes a few times a week during the summer months and a little bit longer during the winter months for vitamin D.
Question: Can you talk about the new treatment, Picato gel? Associate Professor Stephen Shumack: Picato gel is a new treatment that has just been released in Australia. Picato gel has been developed in Queensland over the past 10 – 15 years and is from a weed that grows in most of our gardens. Picato gel has been released for treatment of sun spots that develop on the skin, usually when we're over the age of 40, which can occasionally turn into SCC's or Squamous cell carcinoma which is a type of skin cancer. The treatment is applied over two or three days then a bit of reaction occurs over the next week or two to treat the majority of sun spots giving you less chance of skin cancers developing in those areas. By seeing a medical practitioner regularly we allow them to pick up any skin cancers that may develop early. Question: Is the Pictao gel readily available as a treatment option? Associate Professor Stephen Shumack: Yes, it is available on prescription. The important thing for people is if they're concerned that they have sun spots is to have a GP check it and if they make the diagnoses of skin spots then Picato gel is one of the options available. Picato gel is not for everyone but it is certainly one of the options available. There is currently an education program for General Practitioners for Picato gel. We are suggesting that most people over 40 should be having their GP check their skin, once a year. Question: What should we be looking for on our skin in regards to early detection of skin cancers? Associate Professor Stephen Shumack: There are a number of websites around, in particular Know Your Skin which gives you advice regarding what to look for. Often you are looking for something on your skin that may be scaly, irregular, discoloured and changing over a period of a few months. We suggest that people, particularly those at risk (have had skin cancers before, have sun spots or have a family history of skin cancers) should check their own skin, every three months. Every season you should have a quick look at your skin, which only takes five minutes and if there is something that has appeared, developed or changed, over the preceding three months then it is worth having your GP take a look and they will give you advice about what it is and what can be done. Self-checks are very important and there are a number of sites out there that give you advice including www.knowyourownskin.com.